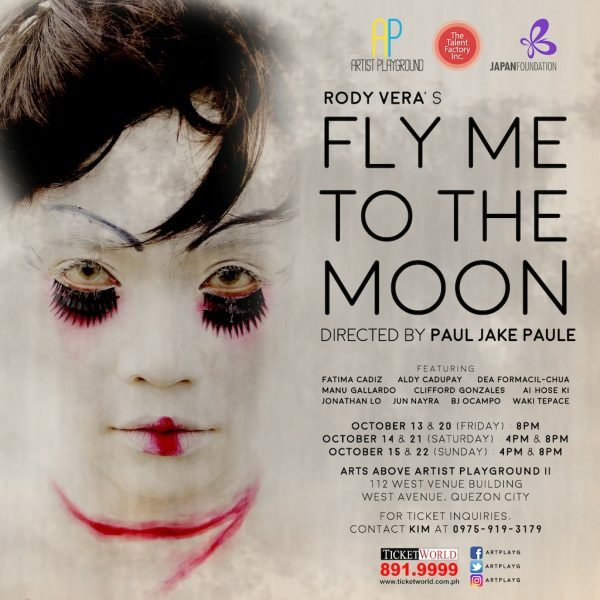 In cooperation with the Japan Foundation, Artist Playground’s latest production, “Fly Me to the Moon”, is an original play penned by Carlos Palanca Memorial Awards for Literature Hall of Famer Rody Vera. Directed by Paul Jake Paule, “Fly Me to the Moon” is the story of Melanie who embarks on a journey to Japan to help her family make ends meet. Using her charm, she boards on a ship full of flesh-hungry sea crew, and finds comfort in Jo, a karayuki-san who longs for her one true love Ibrahim. On the ship, the two draw parallels between their lives as they unfold their own stories. Soon, Melanie and Jo part ways to follow their own path, while still keeping a piece of each other’s heart. 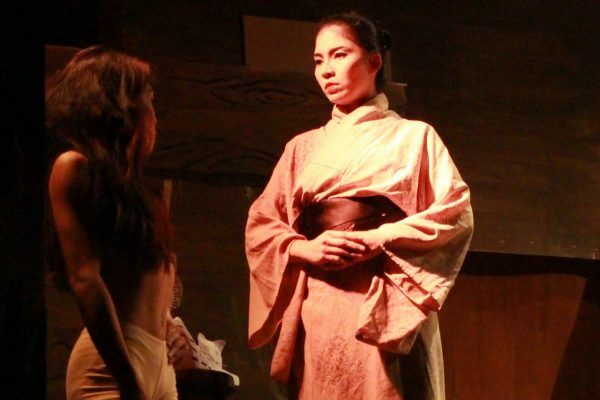 Fatima Cadiz and Dea Formacil will alternately play the role of Karayuki, Aldy Cadupay, Ai Hose Ji, and Xosh Adrio will alternately essay the role of Melanie, Clifford Gonzales, Ar Ar Ramilo, and BJ Ocampo will alternately play the role of Ibrahim, and Manu Gallardo and Jun Nayra will alternately play the role of the Captain. The Players, Artist Playground’s very own group of artists– Josh Adamero, Lliwel Agita, Aljean Badar, Leonardo Bania, Searl Escalona, Julia Garcia, Alleah Hugo, Vincent Macapobre, Reyn Mercado, Ariel Pan, Christopher Perez, Joyan Que, Beaulah Mae Saycon, Christian Silang, and Fernilyn Toladro, shall play various roles in the ensemble. Fridays (Oct 13 & 20) 8pm, Saturdays (Oct 14 & 21) 4pm & 8pm, and Sundays (Oct 15 & 22) 4pm & 8pm. Venue: ARTIST PLAYGROUND, Arts Above, 112 West Venue Building, West Avenue, Quezon City.